The existing campus consists of five separate buildings, each housing a disparate part of the Congregation Beth Ahabah program. The functions are spread out with minimal or non-existent links between components. 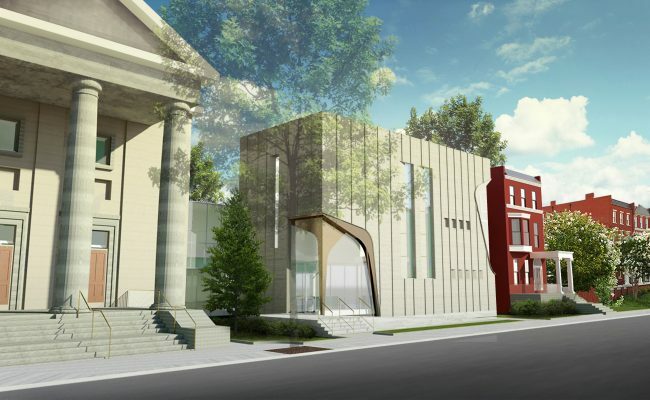 The proposal recommends the demolition of the existing School Building, the construction of a new addition in its place, and the relocation of BAMA and CBA offices into the newly constructed link between the existing synagogue building and Joel House. 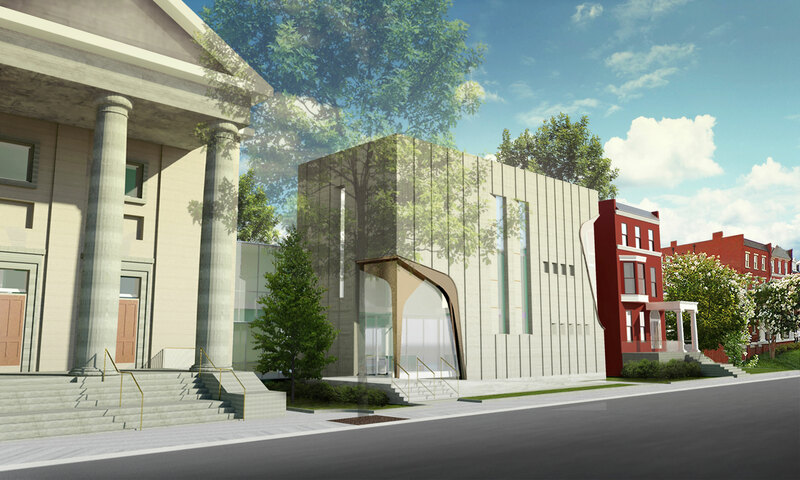 A primary goal of the modernization is to create a central entrance to access all areas of the building, to reinforce the concept of an integrated Congregation Beth Ahabah campus. It will clarify the building circulation and make the building more accessible to visitors and staff. The proposed atrium serves a number of purposes. It allows light into the core of the building; it creates an interior space from which various programs are visible; it highlights the exterior wall of the original sanctuary building, linking the new to the old. This way the original sanctuary is always present as visitors move through the new building.